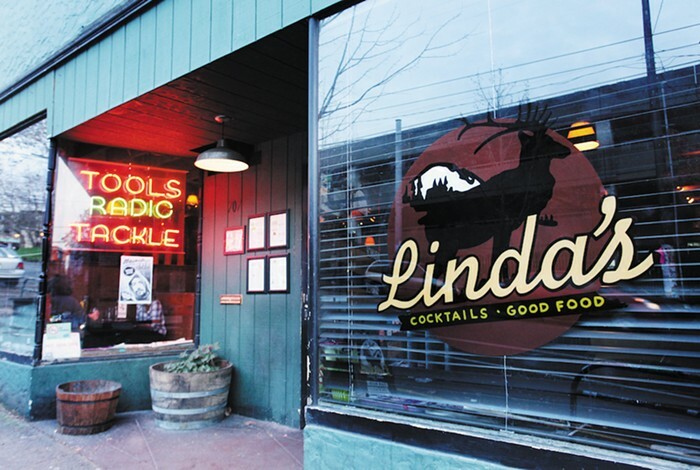 Under the baleful watch of a taxidermied buffalo, Capitol Hill has hung out at Western-themed Linda's with shots and pitchers of beer for two-plus decades now, with the additional benefits of a pool table, a good jukebox, comfy booths, and a-OK burgers. Weekend breakfasts are served to the generous-to-the-hungover hour of 3 pm, and the back patio is pure summertime awesomeness; get there early to stake out a table on sunny days. Hours: 4 pm-2 am daily, plus weekend brunch 10 am-3 pm. Happy Hour Daily 5-7 pm ($6 food menu, $14 pitchers, $2.50 pint of PBR , $8 pitchers of PBR, $5 wells, $6 nachos).